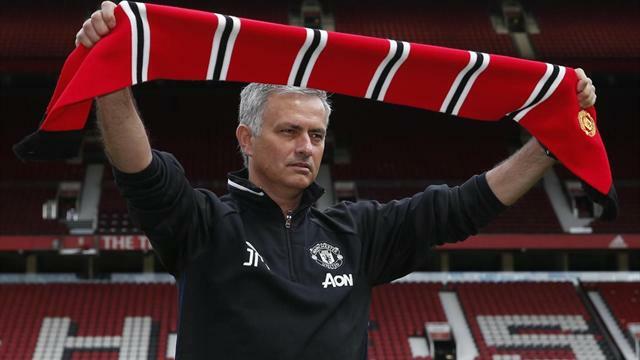 Ferguson backs Jose Mourinho to succeed after LVG failure, but is he right about the 'Special One'? Manchester United manager Jose Mourinho will be a "massive improvement" on predecessor Louis van Gaal, according to former Old Trafford boss Sir Alex Ferguson. Mourinho was appointed in May, three years after Ferguson quit following 26 years in charge during which the club won 13 Premier League titles and two Champions Leagues. "I think he'll be a massive improvement, I really do," Ferguson told Sky Sports television. Portuguese Mourinho was fired by Chelsea in December, seven months after winning the Premier League crown in his second spell at the London club. "But in terms of ability, charisma, personality, success he's had, he's won the Champions League with two different clubs (Porto and Inter Milan), he won league titles with all the teams he's been at...his record, you can't ignore. "I think United is the right kind of club for him and I think he'll do really well." David Moyes took over from Ferguson in 2013 and led United to seventh position in the Premier League before being replaced by Dutchman Van Gaal who guided the team to fourth and fifth spot in his two seasons in charge. Van Gaal was sacked in May, just days after leading United to victory over Crystal Palace in the FA Cup final. OUR VIEW: IS FERGIE RIGHT ABOUT MOURINHO? What else is Ferguson going to say? You get the impression he is speaking as much in hope as expectation. While the querulous Scottish martinet is right about Mourinho's record in management, the fact remains that when push came to shove, Fergie recommended David Moyes as a safer pair of hands than the "Special One". And when United opted to dispense with their Moyesian project, they turned to Louis van Gaal to solve the malady rather than pursue Mourinho. You only needed to study some of Mourinho's questionable soundbites at his unveiling yesterday to understand why United refrained from Jose. But they are so desperate to regain the Premier League title they last lifted under Fergie three years ago they have turned to the one man who was deemed a huge risk because of the maverick nature of his behaviour. Mourinho tends to become bigger than the club he is managing, and more of a story than the club he is overseeing. His behaviour at Chelsea was dreadful towards the end of his tenure damaging to the club both financially, commercially and a public relations disaster after the Eva Carneiro settlement. United will be hoping he is a changed man. But like Fergie, they can only hope his football coaching does the talking more than his ego at his regular outings representing such a worldwide brand. It is unlikely to be boring whether or not Mournho follows through on his promise of attacking play.